Small wind power plants with outputs ranging up to 5 kW are deployed today for decentralized electricity supply. These plants generate direct voltages. The energy can be stored in batteries via charge controllers. Inverters produce alternating voltages to supply electrical consumers in the grid. 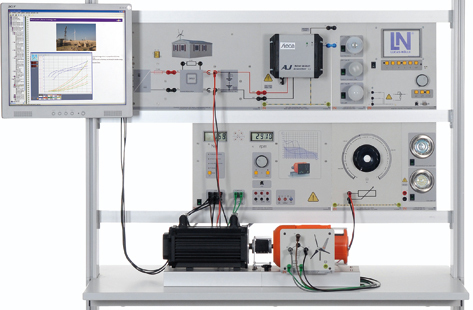 The effects of wind power and the mechanical design of wind power plants can be emulated down to the last detail using the servo machine test stand and the ”WindSim software“.